﻿ B&B ARMR | Your Perimeter Security Solution! As the premier provider of anti-terrorist and crash-rated perimeter protection products, B&B ARMR designs, manufactures and distributes the most extensive line of crash rated vehicle barriers, hydraulic gate operators, bollards, barriers, wedges and gates to critical government standards. 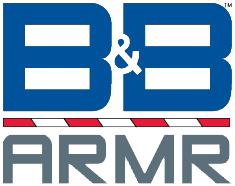 For facilities and environments requiring the highest level of protection, B&B ARMR is the first line of defense for the nation's critical infrastructures vital to our national security, economy, public health and safety. Copyright © 2018 B&B Roadway and Security Solutions. All Rights Reserved.